Daniel Richard’s squad picked up a pair of easy home wins last week with a 4-0 win over Crean Lutheran on Thursday, Jan. 7, and a 6-2 victory over Saddleback Valley Christian on Friday, Jan. 9. Breakers had two difficult league games this week opening at home on Wednesday, Jan. 14 with Costa Mesa and Friday, Jan. 16, with Saddleback. 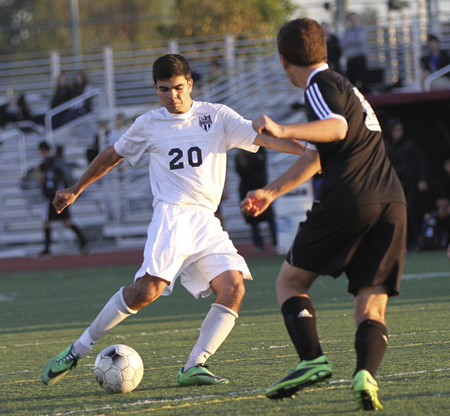 Laguna travels to Estancia on Wednesday, Jan. 21, which is always a very hotly contested match. 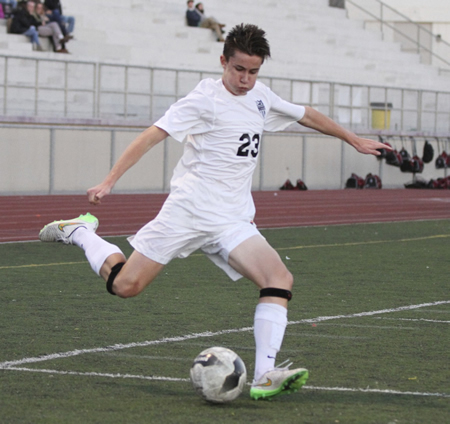 Senior Zach Jacobs on the move during Laguna’s 6-2 home win against Capistrano Valley Christian on Friday, Jan. 9. Breakers returned to play this past week with a 0-0 tie at San Juan Hills on Tuesday, Jan. 6, and a 2-0 at J Serra on Thursday, Jan. 8. League play opened this past week at Costa Mesa on Tuesday, Jan. 13, and Saddleback on Thursday, Jan. 15. Next week the Breakers will face the two strongest rivals for the league title at Estancia on Tuesday, Jan. 20, and Calvary Chapel on Thursday, Jan. 22, at Centennial Park.